JET Going! Our latest seat sale is up. 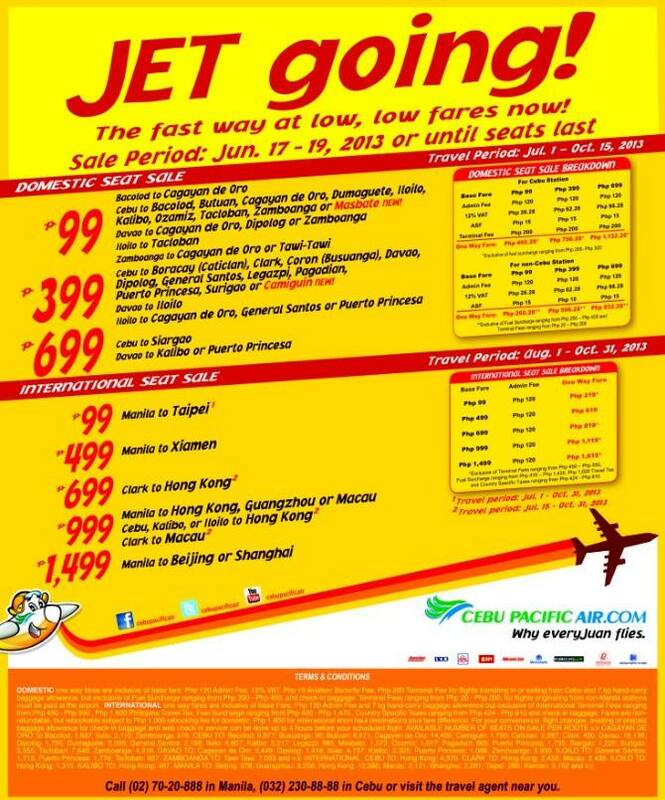 The fast way at low, low fares now! Cebu to Bacolod, Butuan, CDO, Dumaguete, Iloilo, Kalibo, Ozamis, Tacloban, Zamboanga or Masbate. PISO FARE for Independence Day!